Parents are wired to keep a watchful eye over their children, making sure they are heathy and safe all the time. Most of the kids are always wanted to go out, explore and play along with other children. They desire to explore more usually sparks a semblance of fear in parents that makes us to be more restrictive with our kids day to day activities. In reality, we as parents cannot be with our kids 24/7. 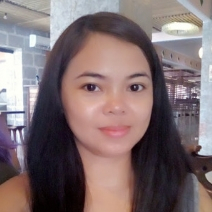 Sometimes, we need to be away to them to be able to do some of our duties and responsibilities. NIDO Advanced Protectus 3+ will help us give them confidence to do so without having to worry about with our little ones. 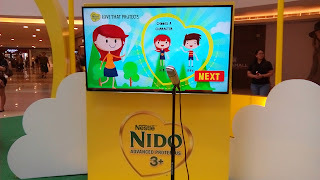 NNIDO Advance Protectus 3+ has Lactobacillus protectus with probiotic strain L. Rhamnousus, which not only helps protect children's tummies and help support their defense against pathogens in the upper respiratory tract. Every 45g serving, about 4 tablespoons of NIDO Advance Protectus 3+ and 5+ has almoat one billion colony forming unit (cfu) of L. Rhamnosus present. With that, it had the #LoveThatProtects that every child needs. NIDO Advance Protectus 3+ event showcased how it helps moms to show their children a love that protects in their heart shaped activity interactive parent and child booth in The Atrium, SM Megamall. 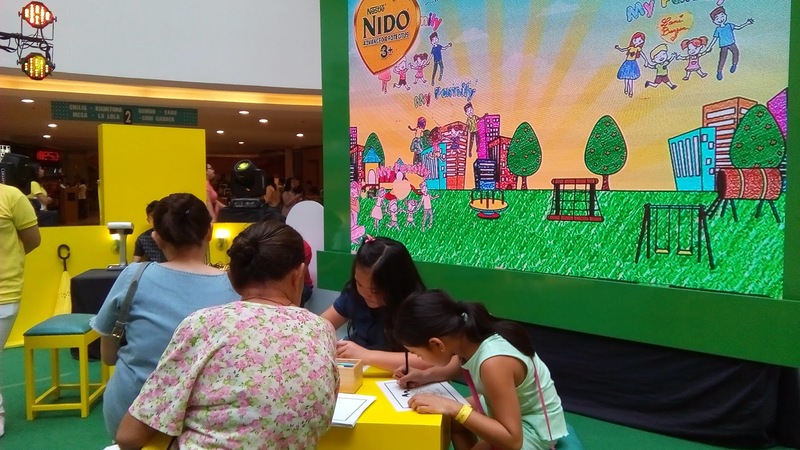 Kids, moms and even dads can join the fun by simply buying one (1) 370g pack ot NIDO Advance Protectus 3+ or 5+ from the nearby selling booth to get a set of three wrist tags. Inside the heart shaped booth, you can win special prizes by evading the danger of the forest through the sound-controlled game Shout for Love, hugging to cath yellow hearts at Catch the Love Bug, expressing the creativity by coloring the templated artworks at Color Me Love. State your commitment through a mom and child handprint and by answering the question "How do you show your love that protects?" 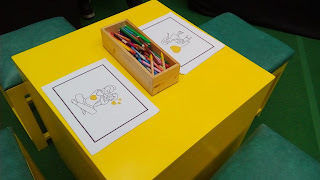 Parents and their children are allowed the participants in the different activities to demonstrate their creativity and teamwork. NIDO Advance Protectus 3+ provides parents and their children with the educational, fun filled family bonding day. Check out the NIDO Advance Protectus 3+ #LoveThatProtects booth at SM Megamall until tomorrow, August 13. Watch out for more announcements on Cebu and Davao legs. 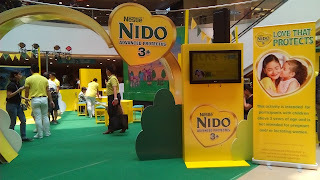 To learn more about the activities, visit http://www.facebook.com/NidoAdvanceProtectus3.